Tuesday 20 January 2009 06:00. News reports published that the GoSS Minister of Finance said that there is already a laid down intention by his government to evacuate officials living in expensive hotels around Juba using government money. According to the Minister, every official living in one of those hotels spends at least US$150 per day and that GoSS will no longer pay those officials’ bills. Considering that those officials were accommodated in Juba hotels since 2005 with at least US$150 per day for each, that means that about one official cost the GoSS since 2005 about US$219,000 (equivalent to SDG438,000,000). You just imagine the benefit of such a big amount of money to the normal citizen in the south if it is utilized in providing basic health, education, medical services! Regrettably GoSS step should have been taken early enough and before wasting all these millions in such a show-off disbursement. GoSS should have concentrated on providing its citizens with the basic services instead spending money in celebrations or other luxuries. GoSS should direct its limited resources toward productive activities. Southern Sudan needs development, reconstruction and basic services after all the years of the civil war. But instead GoSS is adopting the show-off disbursement and directing the resources in the government organs through accommodating its ministers and legislators in Juba hotels costing thousands of dollars daily. discrimination, favoritism, and claim that they were born to rule? have learnt from previous mistakes but that assumption was in vain. have control over every piece of land in south wherever they wish? community dominates the affairs of the south? west side of Sobat belonged to Jieng. laws brings conflict and war. did Dinka community build in those places under protection of SPLA? given to them by GOSS which is not known to other communities ? be in Apew (Adhyithaing), a Collo land fifteen miles south of Malakal. war was fought for Dinka welfare and not for the whole South benefit. the procession. Politically, this implies that Malakal belongs to Dinka. lead the procession, but Dinka were not ready to admit that. participation in the celebration to avoid riots in stadium. army which was sent to search for missing people in nearby bushes. 600 houses in Abanim and Lul killing three people. indicated in their memo, which they wrote last October, 2008. Presumably, the President of Southern Sudan is aware about that claim. position of defending themselves from Dinka aggression. to be in danger, and you will be blamed for that. with their assumption that they are people who liberated those lands. and ‘the grass’ is going to suffer. Dinka Ideology: Is South Sudan Becoming Another Lawless Somalia? of the conflict and the involvement of SPLA in it. and Lul areas between them and the Shilluk. this issue was immediately brought before him. However, President Salva Kiir made no attempt at resolving the matter. out by Dinka SPLA soldiers, killed dozens of Shilluk in Nakdiar and Lul. non-democratic rule over other minor tribal groupings. dispute and claim of ownership of Malakal by Dinka Ngok. However, Mr.
Salva Kiir ignored the matters altogether. different communities in South Sudan. than 800,000 Tutsis minority in a matter of weeks. neither can the other minority tribes rule the South without the Dinka. We need each other in order to have a viable independent state. Dinka politicians whose aim is to strengthen their hold over power. Sudan can live anywhere in south Sudan, for their own political gains. they do not occupy the lands that already belong to others. Dinka stand no chance against the other minorities in South Sudan. Joseph Lagu. In cohort, the minorities in the assembly selected Mr.
of backlash from the very people they want to dominate. the use of military means to defend themselves and their existence. conditions for the attainment of an independent state for the South. Sudan‘s government is increasingly fearful that the incoming US administration will resort to military intervention to end the six-year-old crisis in Darfur that has killed up to 200,000 people and left 2.7 million homeless, diplomatic sources in Khartoum say. Clinton said the Obama administration, which takes office on Tuesday, was examining a wide range of options, including direct intervention in support of a joint UN-African Union peacekeeping force, known as Unamid, which has struggled to make an impact after beginning operations last year. “We have spoken about other options, no-fly zones, other sanctions and sanctuaries, looking to deploy the Unamid force to try to protect the refugees but also to repel the militias,” Clinton said. “There is a lot under consideration.” Clinton has previously asserted that the US has a “moral duty” to help Darfurian civilians. The US accuses Khartoum’s leadership of committing genocide in Darfur. Washington has eschewed direct military involvement since the crisis erupted in 2003, despite growing pressure to act from Sudanese insurgents, exiles, and evangelical Christian groups. But in a surprise move last week, President George Bush ordered the Pentagon to begin an immediate airlift of vehicles and equipment for the peacekeeping force. Alain LeRoy, head of UN peacekeeping operations, told the Security Council last month that violence in Darfur was intensifying and stepped-up international involvement was urgently required to avoid a descent into “mayhem”. Influential US-based pressure groups such as the Save Darfur Coalition and Enough are meanwhile demanding that US president-elect Barack Obama act swiftly to fulfil campaign pledges to take more robust action. “I will make ending the genocide in Darfur a priority from day one,” Obama said in April. He has also previously backed a toughening of sanctions and said the US might help enforce a no-fly zone. That was a reference to a retaliatory US cruise missile attack on a suspect pharmaceutical factory in Khartoum in 1998, ordered by President Bill Clinton after al-Qaida attacked US embassies in Kenya and Tanzania. Sudan provided a base for the al-Qaida leader, Osama bin Laden, from 1991 until he moved to Afghanistan in 1996. A source in Khartoum said Sudan’s president, Omar al-Bashir, was especially alarmed by Obama’s selection of Susan Rice, a former Clinton national security council adviser on Africa, as a cabinet member and US ambassador to the UN. Rice has spoken passionately in the past of the need for US or Nato air strikes, or a naval blockade of Sudan’s oil exports, to halt the violence in Darfur. 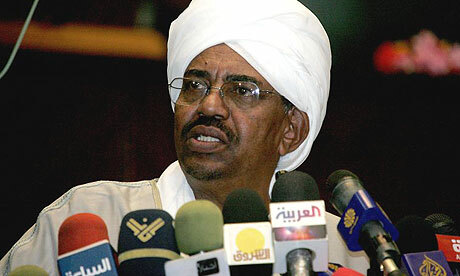 Bashir felt only “fear and loathing” for Rice and had told aides: “I don’t want to see her face here,” the source said. Khartoum’s concerns about American intervention extend to southern Sudan, fuelled by reports, denied by the US, that Washington is arming the separatist Sudan People’s Liberation Army. The SPLA is the military wing of the Sudan People’s Liberation Movement with which the north fought a 30-year civil war. Salva Kiir, the SPLM leader and Bashir’s likely rival in elections due later this year, received red carpet treatment by Bush at the White House last week. Fears of direct confrontation with Washington are being fuelled by expectations that the International Criminal Court, backed in this instance by the US, will issue an arrest warrant for Bashir within the coming weeks. The ICC chief prosecutor charged Bashir last year with genocide, war crimes and crimes against humanity relating to Darfur. “The press release was signed by advocate Becho Pitia” said Luganya. are not accountable for the press release from the Madi community. size of the main army based on tough new standards. on account of, for example, scanty education and age. and not less than secondary education for the officer cadets. after basic military training would serve six years. Those at the ranks of private to sergeant would retire at 47 years. sergeant majors, and majors to colonels would retire at fifty years. Second lieutenants and captains would retire at 52 years. Liberation Army and the Joint/Integrated Units as the national armies. The SAF is in charge of the north. SPLA is in charge of the south. Southern Sudan’s capital town, Juba. vehicle with bullets along a road out of Juba. 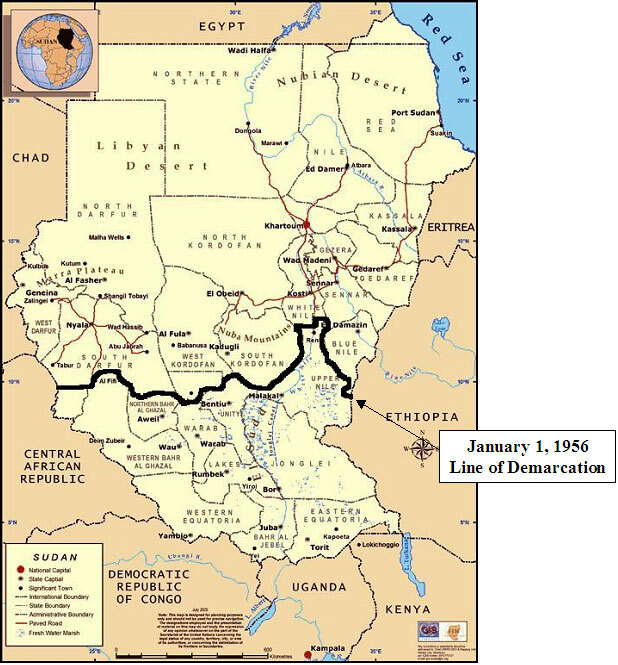 NCP/NIF Jihad in South Sudan with possible extension to the Great African Lakes Region is doomed to failure. Prospects for Peace in Alex De Wal’s Sudan Briefing:December 2008 Overview 1.